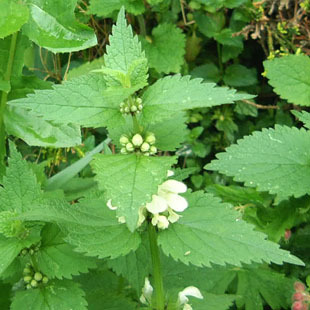 Dead Nettle and Dumb Nettle. but all year, including Jamuary, in mild winters. common in the North compared to the South. and woodland and by roads and footpaths. by rhizomes and stolons to form clumps up to 60cm. 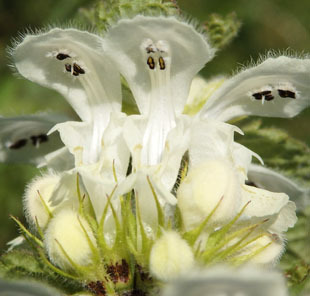 in whorls up the stem. 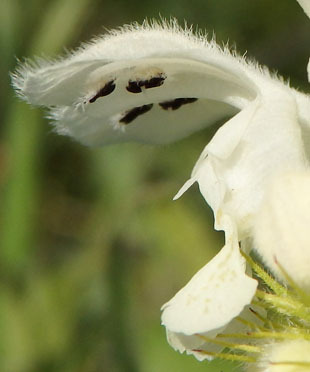 The hairy, hood petal overtops the flower. 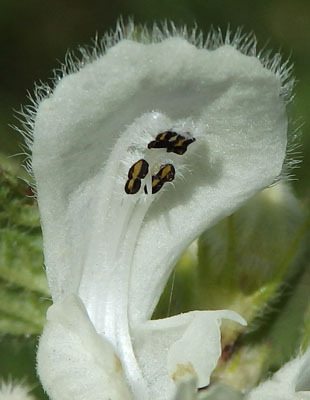 The stamens are side by side inside the hood. 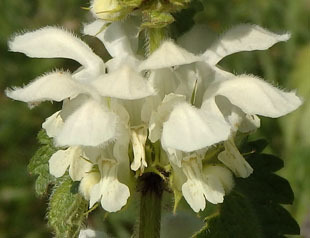 The lower petals have pale yellow markings. 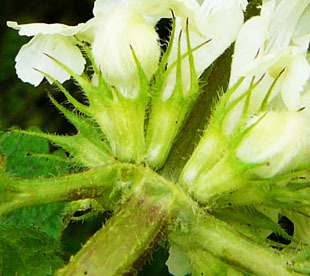 Sepals are long and pointed.